I’ve been a bit shy about sharing a photograph of my stoma. It’s a bit like showing someone your bum hole!! But I know how much it helped me to see other people’s stomas before I had my surgery, so here it is! It may not be pretty but it has changed my life. 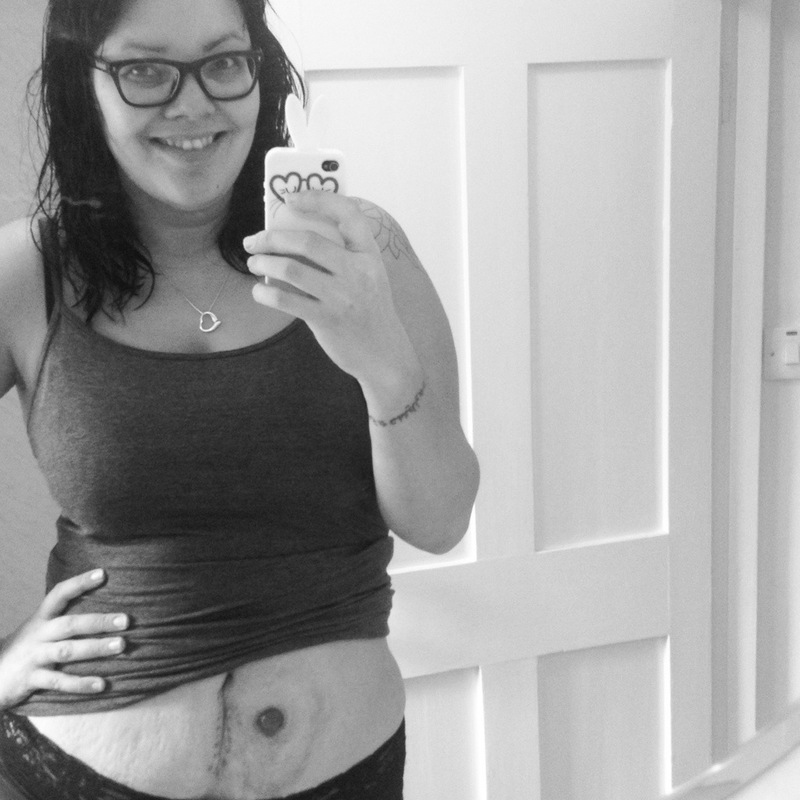 Because of my stoma I no longer have pain, diarrhoea or bleeding. I am off all medication for the first time in ten years and I’m learning to live a new life! It's my 8 month stomaversary!! Fab picture, Sam! So glad you’re breaking taboos here. Thank you. It’s not half as gory as people imagine which is why it’s important to show it off I suppose. When you google stomas, it comes up with a lot of images if when stomas go wrong. Which is terrifying!!! (Don’t google!!) so I thought it important to show off my neat little stoma! It just looks like an extra big belly button!! 😀 I’m so glad that you are feeling better and more upbeat. You look fantastic!! Thankyou so much. I might eventually get one, so it really helps to hear and see the benefits. I’ll be referring my friends to this to show them that stomas do not affect your smile muscles. You look so well, it is lovely to see.